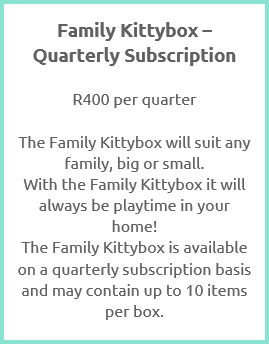 How does the Kittybox subscription service work? 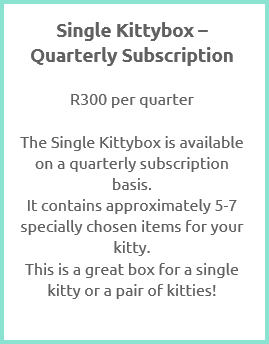 Subscription Kittyboxes are sent out on the 15th of the month, your initial order need to be completed by the 30th of the current month in order to receive your first Kittybox on the 15th of the following month. We make use of Fastway Couriers for our monthly and quarterly subscription boxes and the cost is included in your subscription price. Once you've completed your order via PayFast, you will be requested to complete your delivery details.